We know that Samsung of Korea and Apple of US is in the climax of its competition regarding the latest gadgets we love to have. iPhone was launced last January 2007 then releases to the market last June 2007. According to Harold McElhinny, Apple’s attorney, Samsung was having a “crisis of design” during that time and so Korea wanted to take advantage of the victory of this launched device, the iPhone. 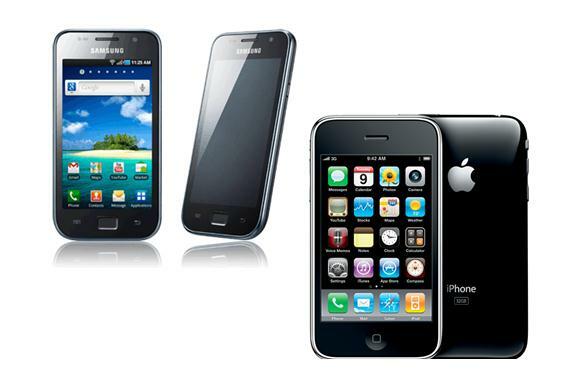 The patent issues began when Samsung Galaxy phones were released last 2010 when Steve Jobs started to contact Samsung over his concerns that Galaxy phones copied the iPhone then On April 2011, Apple Inc. filed a patent infringement lawsuit and so Samsung Electronics Co. did. Of course, the lawyers of the Samsung appealed that they didn’t copy the look and feel of the iPhone but the Apple infringed on Samsung’s wireless technology. The judges said that Samsung violated Apple’s technology that a screen bounces back when a user scrolls to an end image. Apple sought $2.5 billion to $2.75 billion for its claims that Samsung infringed four design patents and three softwares in copying the iPhone and iPad and so Samsung fired back $421 million in claims that Apple infringed five patents. After the long courts that had been taken, last August 24, 2012 the jury was largely favorable to Apple and so they ordered Samsung to pay Apple $1.05 billion meaning, Apple won’t be paying anything to Samsung. This entry was posted in Technology and tagged Apple Inc. filed a patent infringement lawsuit, Apple Lawsuit Against Samsung, Samsung of Korea and Apple of US, Samsung to pay Apple $1.05 billion for infringement to Apple, Samsung violated Apple’s technology. Bookmark the permalink. Galaxy does look like the iPhone. At least both Company can look forward now. I hope the rivalry ends there. Then again, competition is good, as it gives these bigwigs motivation to make their end products of high quality. So much money involved. Let go and move on. Both products are good and really very marketable. ive heard about this a week ago! they’ll stop production and might sell the units on a lower price right? hmmm.. samsung might have copied technology from apple but that’s life isnt it? I think that it’s good that the judges ruled in favor of Apple. This way, Samsung will be forced to innovate rather than just make copy of Apple products. I’m not biased towards either but I really do think that Samsung copied Apple’s design. I remember seeing a Samsung phone that was so much like the iphone 3g/3gs. Whoa! That’s a lot of money, but that’s a small amount to pay for copying Apple designs. For me, it’s just healthy competition. No need to sue each other.